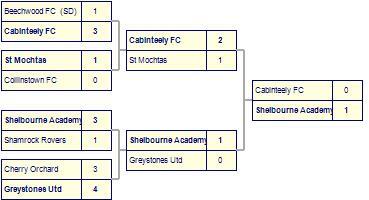 Crumlin Utd take spoils against Shelbourne Academy. 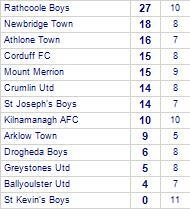 Athlone Town draw with Crumlin Utd. 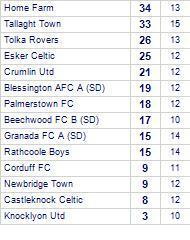 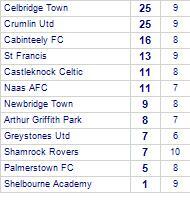 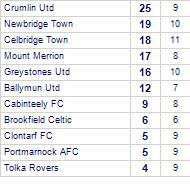 Crumlin Utd take all points from Palmerstown FC. 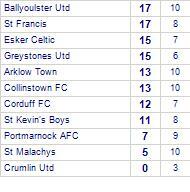 Kinsealy Utd draw with Crumlin Utd. 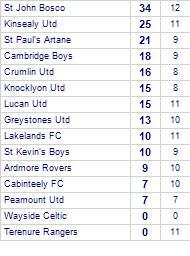 Kinsealy Utd have yet to be beaten at home. 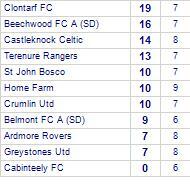 Crumlin Utd beat Granada FC A (SD). 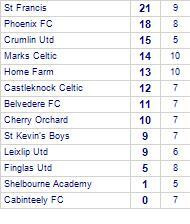 Crumlin Utd despatch Shelbourne Academy.